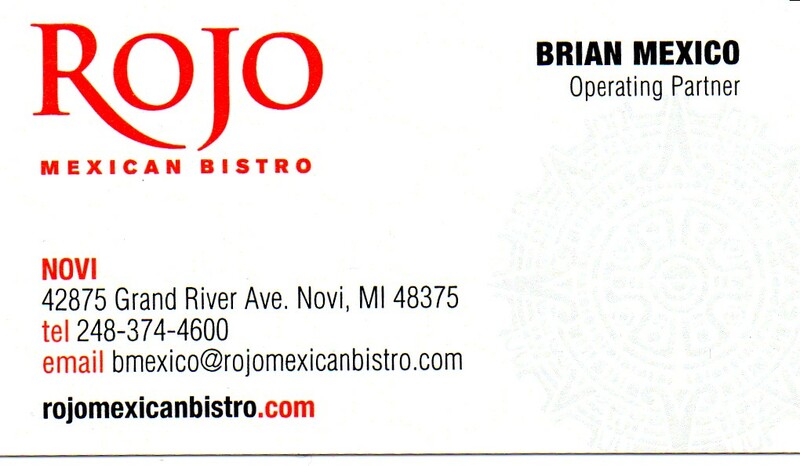 The restaurant that we went to was a Mexican (Tex-Mex) eatery called Rojo that was created by a local chain of Italian restaurants. I am not sure if they are still part of the chain or were spun off, but they were doing a great business the evening we were there. We must have gotten there at the perfect time, because after we were seated they were patrons milling all about waiting for a table or a booth to be vacated. Our dinner entrees were fine for what we were looking for, not stellar, but much better than some other venues that I have tried over the years. The Margaritas were excellent and they did have quite the selection of different Tequilas to try, I went with a classic interpretation and my Bride went with a fancy one, because she is fancy. What caught my eye on the menu was that they offered two different wines from Mexico, so I ordered a glass of wine to try with the main part of the meal. I have become quite a pain; I am sure, for some servers as I now request that they bring me a bottle of the wine, so that I can take a picture of the label, if we are not ordering a bottle of the wine. Modern technology has help immensely for writing about wines and it only adds a couple of dollars more for the tip. 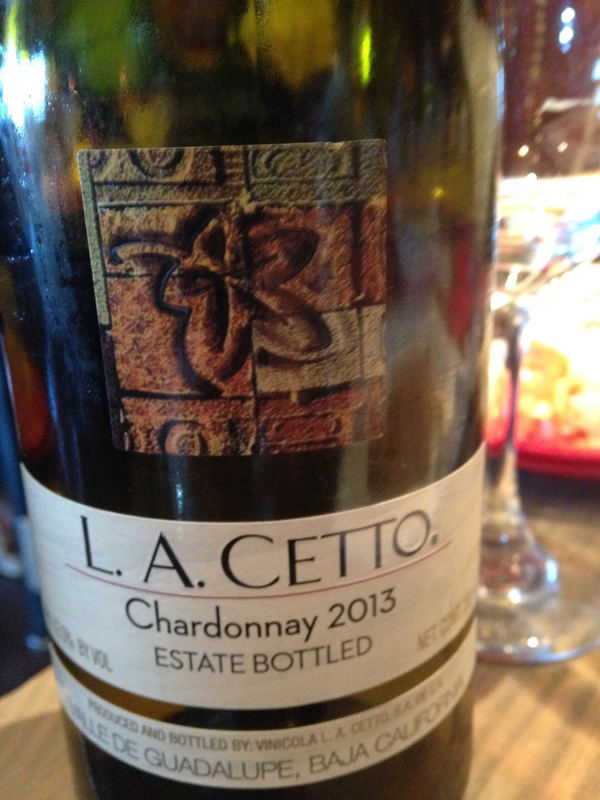 I had a glass of L.A. Cetto Valle de Guadalupe Chardonnay 2013. The Valle de Guadalupe of Guadalupe Valley is in the Baja California region of Mexico and this area produces about ninety percent of all the wines of Mexico. All of the varietals that are grown in this area are the classics, as the only indigenous grapes in Mexico are not grown for wines. I would venture to say that there are a lot of growers and workers that originally got there start working in California wineries and brought the expertise that they learned from their work experience to this relatively new wine area. I was not impressed with this wine, and my Bride who tried a glass smiled at me and remarked that what I do for an article, as she continued enjoying her Margarita, while I had my glass of Chardonnay. This entry was posted in Dining, Wine and tagged Baja California, Chardonnay, L.A. Cetto, Mexico, Valle de Guadalupe. Bookmark the permalink.